Summary: 3cl / 50.8% / The Perfect Measure – A peated whisky from Sweden finished in charred virgin American-oak casks for eight months. 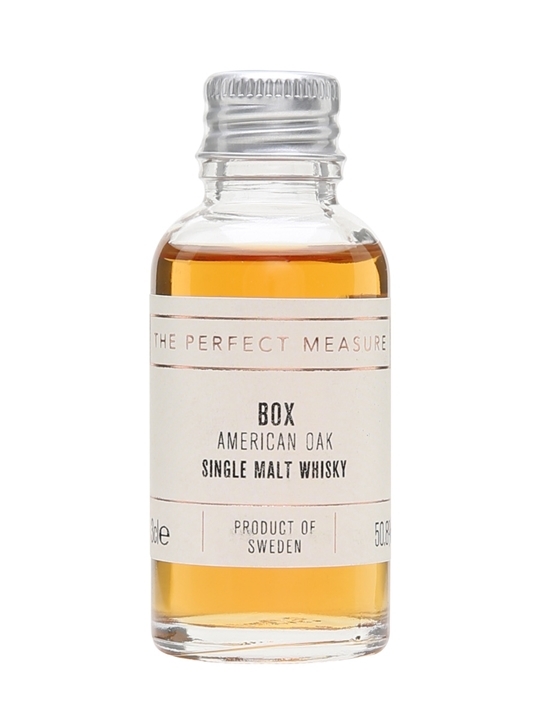 Box American Oak is spicy and toasty. 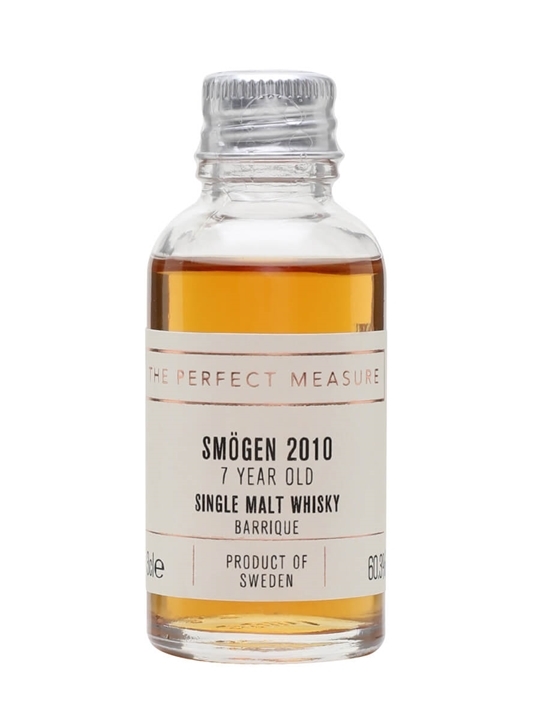 Summary: 3cl / 60.3% / The Perfect Measure – This Perfect Measure sample is a great way to sample this heavily peated Swedish whisky, which was aged in Bordeaux wine casks (known as ‘barriques’). This process has added fresh notes of red berries to wilder aromas of smoke and bonfires. The palate is thick and rich, with plenty of dark-berry fruit, roasted nuts and more smoke. A drop of water unlocks yet more fruit.